Are now open to everyone, including uni students, but there won’t be separate drills so everyone will be together. It’ll be fun, try and get there if you can! There will be a minibus as usual from the GSA, plus cars if necessary. Next week lots of ladies will be at women’s indoor nationals, which means that the pre-training throwing session is being opened up to everyone. Get there for 9.30 if you want to take part in that. Otherwise training is on from 10 as normal. As you will have all seen, we’re trying to send a team to Paga this year, we really want to go, but responses have been limited. If you definitely want to go to (Ellen really thinks you should) please let us know quickly. I’ve not got much more information on this still, but just to remind you we’re planning a full weekend of training, with a social and the whole works, on the weekend of the 21st of March. Check out the calendar for more events. We still could do with a couple more players for mixed nationals, if you’ve not signed up and want to go then please sign up. Don’t forget we’re going to the pub quiz in the King’s Head on Monday as usual, and Alix is also planning a badminton session on the 24th, which is open to absolutely everyone! With the adverse weather, make sure you keep up to date with training announcements on Facebook and Twitter in case of any cancellations to play. Travel safe. The committee is excited to announce Brenton has been voted in as the Open Co-ordinator for this season. We’re sure he’ll do a sterling job marshaling all the opens, with his distinctive Aussie twang. Thanks for stepping up Brenton. We’re having a big training weekend on the weekend of the 21st of March. 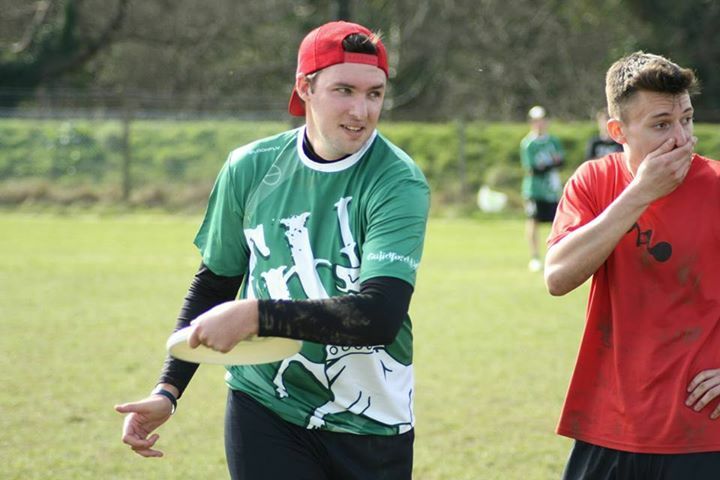 It’s going to be good: much training, much frisbee, much socialising. Keep it free. Facebook event coming soon. Make sure you’re on-top of your debts to the club. GU have a chance of getting a team into Paganello. For anyone who doesn’t know this is a beach tournament in Rimini on the Italian Riviera, known variously as “The Unofficial Beach Ultimate World Cup” and “The Best Ultimate Tournament in the World”. There is an event on Facebook to check out all the details. AND THAT’S ALL FOLKS. See you all on a frisbee pitch soon.